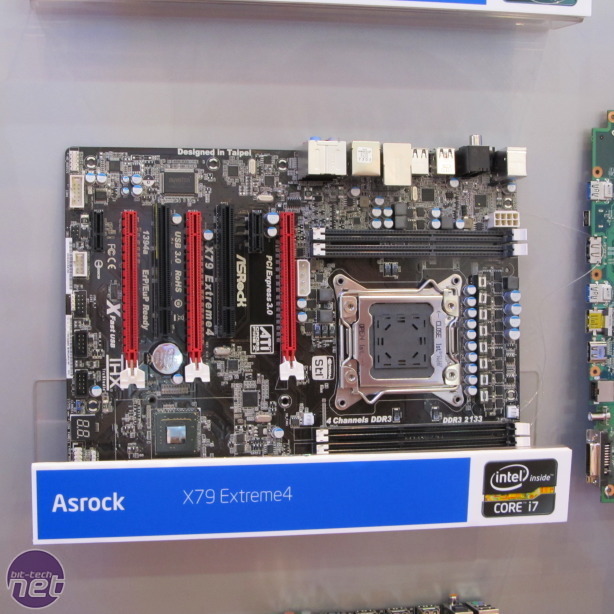 After visiting most of the major motherboard manufacturers while exploring the Computex trade show, we thought it would be interesting to put together a photo gallery of all the LGA2011 motherboards we've seen. 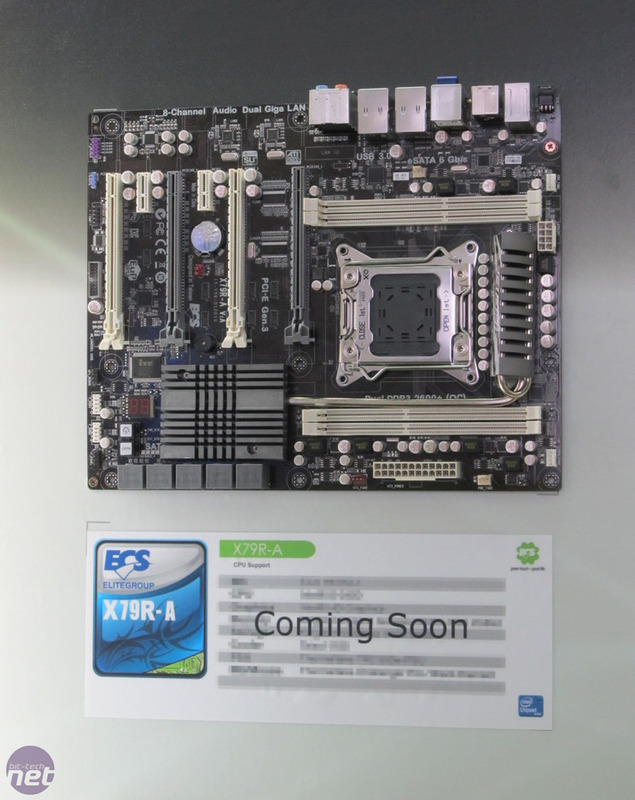 What's interesting is just how many LGA2011 motherboards are on display at the show, despite the fact that the CPUs are not due to be released until much later this year. 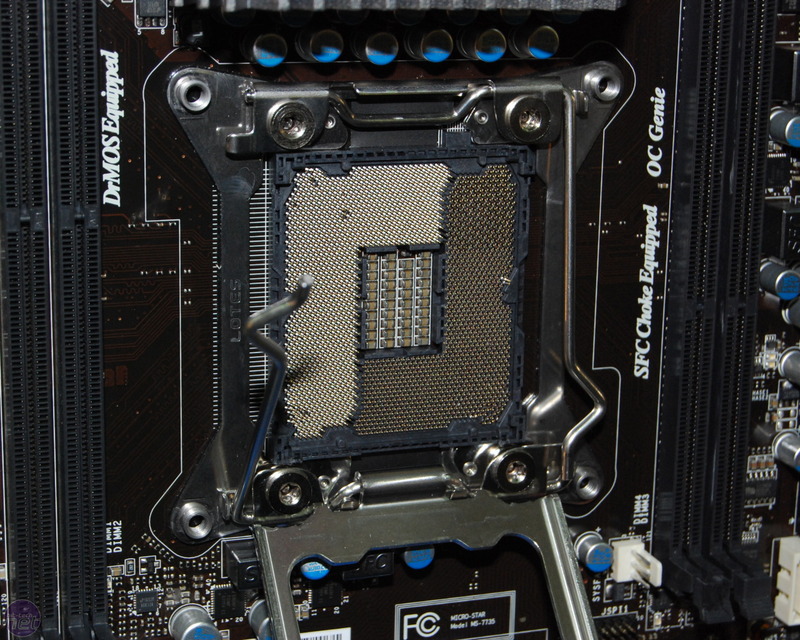 In case you're not familiar with LGA2011, this is the socket that will officially replace Intel's current LGA1366 socket. The CPUs for the new socket are codenamed Sandy Bridge E, and they're likely to include support for several next-gen features, including PCI-E 3.0, SAS 6Gbps and quad-channel DDR3 memory. 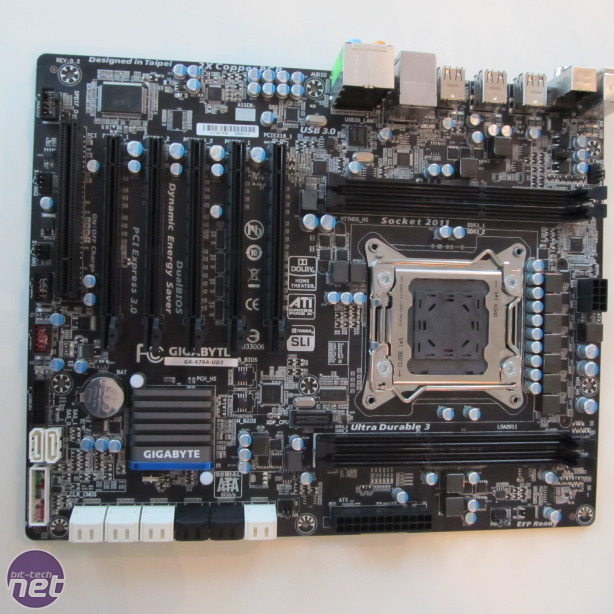 With that brief recap out of the way, you'll find photos of LGA2011 motherboards from Asus, ASRock, Gigabyte and ECS below. Update: After speaking to an MSI engineer today we can confirm a few extra details regarding the LGA2011 socket and motherboard layout. 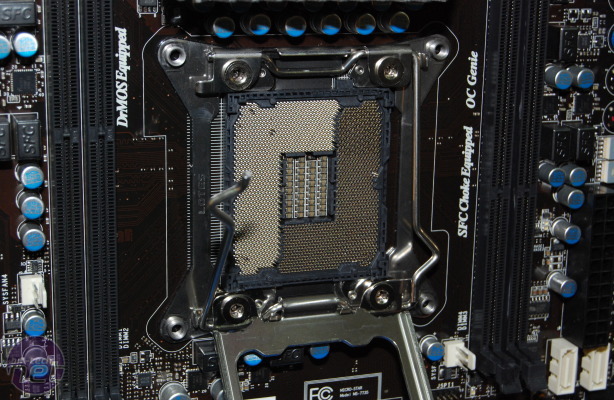 Firstly the engineer explained that the DRAM slot placement on either side of the CPU was part of the Intel spec for X79 motherboards meaning manufacturers couldn't deviate from it. This, he said, was to keep trace lengths to a minimum and also likely meant that there was a memory controller on either side of the CPU die. Interestingly he went on to explain that this had left MSI engineers a little concerned as the motherboard area dedicated to the VRM circuitry was now half of what it has been for X58 and P67 board. Whether or not this limits the overclocking potential of motherboards based on the X79 system remains to be seen however. 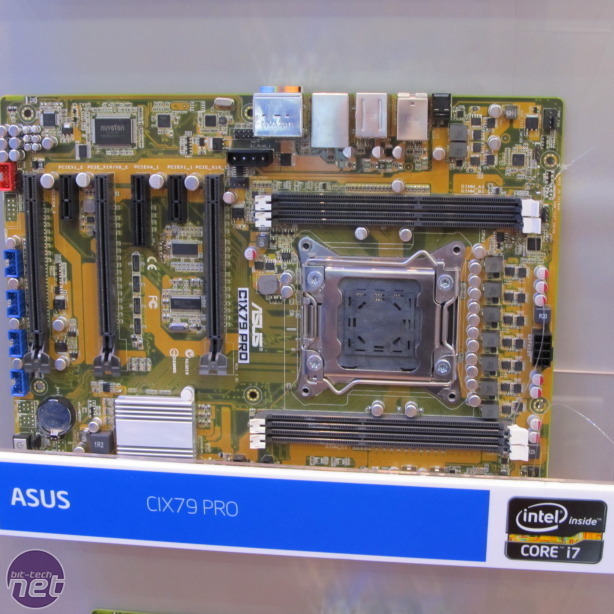 Did you decide to skip the Sandy Bridge platform and wait for LGA2011? 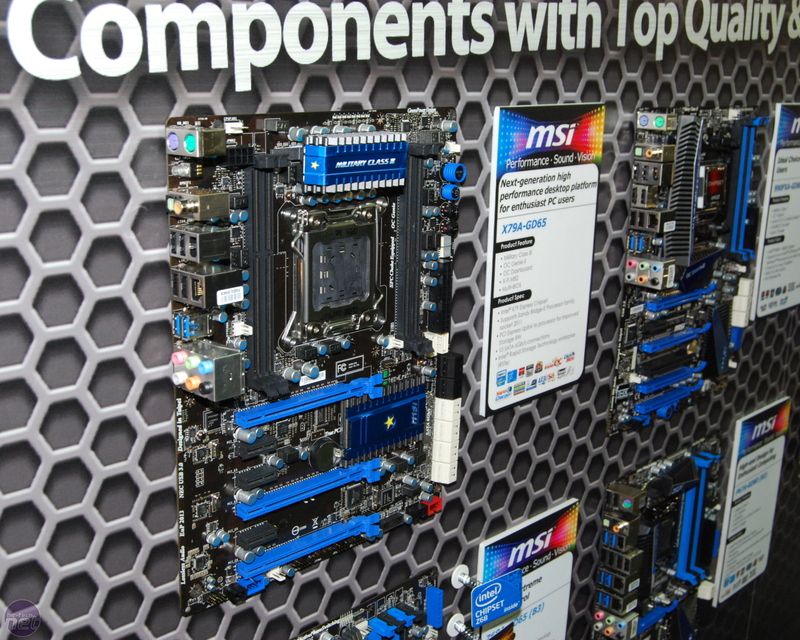 Let us know your thoughts in the forums and be sure to check out our Computex 2011 hub for all the latest show news. You can also follow @bittech on Twitter for micro-blogged updates! 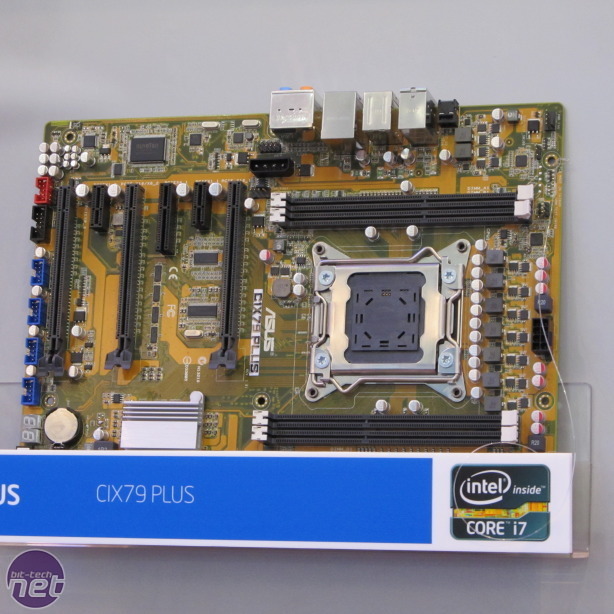 Tell us your thoughts in the forums and head to our Computex 2011 hub for other news from Computex 2011. 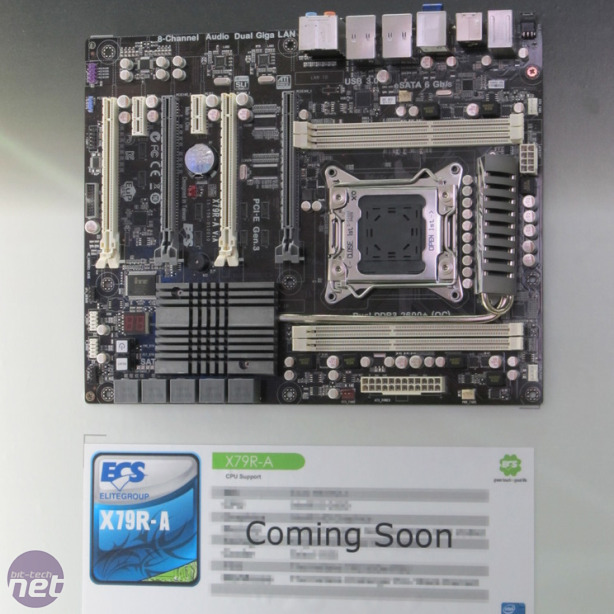 We've been handed preview photos of MSI's first X79 motherboard, the X79A-GD65! 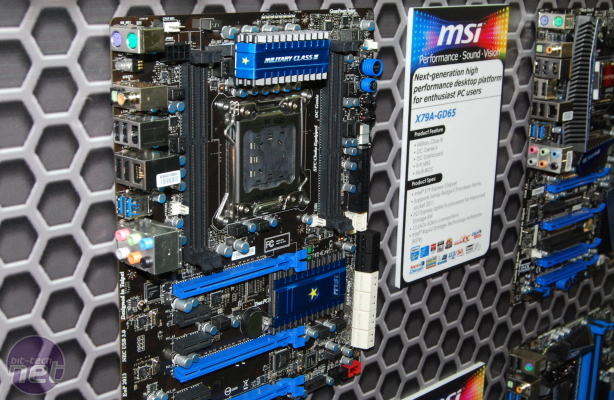 Intel has reportedly discovered a VT-d bug in its forthcoming LGA2011 processors.